10/02/2017 - Last night's Las Vegas shooting is the deadliest mass shooting in U.S. history. Please pray for the first responders, victims, and their families. There are American Red Cross blood drives taking place at the SpringHill Suites Las Vegas Convention Center at 2989 Paradise Road, Las Vegas, NV 89109 and Ernest May Elementary School at 6350 West Washburn Road, Las Vegas, NV 89130. 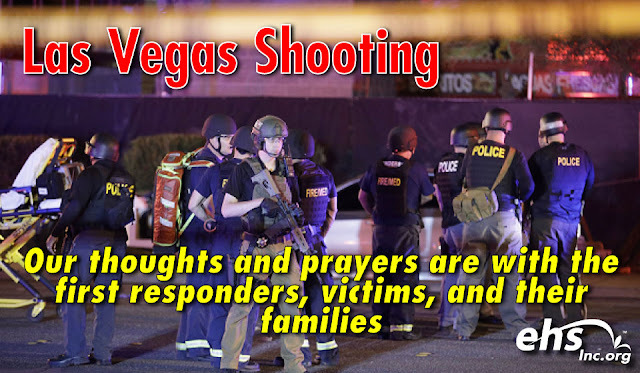 If you're not in the Nevada area, please consider giving money to the Southern Nevada chapter of the American Red Cross, which accepts donations on its website, by phone at 702-369-3674 or via mail at 1771 East Flamingo Road, #206B, Las Vegas, Nevada, 89119.